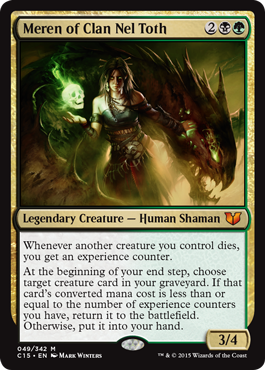 So here's the deal: I'm just as excited for the release of Commander (2015 Edition) as you are. Maybe even more so than some of you, because I've been waiting months for this while staring at all of the sweet cards available on November 13. So I'm going to break a rule just for you. 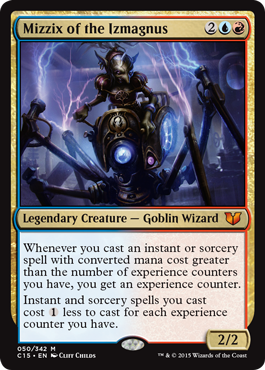 That rule is that, normally, I wouldn't post the decklists till next week, after we have our regularly scheduled Gatherer update. That way, any time you hover over a card name or click on it to see what it does, you can see it exactly, straight from the source (we call this "autocarding," and you're welcome). 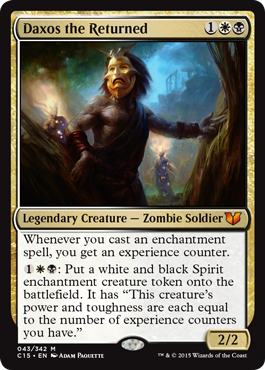 But I also know that today we put out the full Commander (2015 Edition) Card Image Gallery, and that you, like me, are looking closely to see which decks you want, which ones you want to keep together, and which ones you want to tear apart for spare parts to feed your Commander needs. 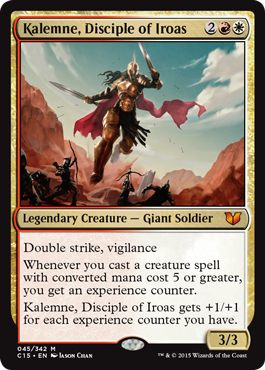 I've already got my fifteen Commander decks at home ready and primed to swap out some cards for some of the new goodies. And I want you to be able to do the same. 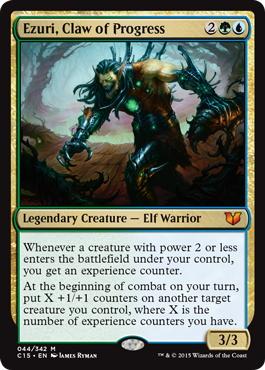 The caveat is that you might not know what some of these cards do, and since we're posting this a touch early, you won't be able to simply click on the names of new cards to see them and the images of the commanders won't show up inside the decklist. Reprints will work just fine. Instead, I highly suggest you use this page in one tab and open up the Card Image Gallery in another. That does make it tough for mobile viewing, but it's the price we pay to get you the full lists today. And we definitely want you to have the full lists today! I mean, you're probably not even reading this anymore, because lists! And fret not; you can also bookmark this page and come back next week after the regular update to see the lists with pretty links and autocarding for all of the new cards. In the meantime, happy brewing.